AURI begun its life with three people, united through their shared need to hear a kind of a music which can‘t be described by words alone. A magical kind of sound to be heard whilst falling down Alice’s rabbit hole. The Finnish singer Johanna Kurkela lent her unique voice, while Troy Donockley and Tuomas Holopainen (both NIGHTWISH) cast their spells with various other instruments. Using selected guest musicians and friends, the album finally takes its ultimate form under the direction of sound engineer Tim Oliver, all within the pastoral splendor of ‘Real World’ studios in Southern England. AURI‘s self-titled debut album will be out on March, 23 and available as digipak CD, 2LP gatefold Vinyl, a limited Earbook and digital. Everything begins with a vision. A virtuoso imagination hovering auspiciously in the air, composed of multi-faceted fragments and ideas that gradually become more concrete, slowly taking shape and then finally forming out of the minds of their makers as a new project. Completely unexpected, it‘s just a natural, flowing process. This is just what happened with these three outstanding, internationally successful musicians who have created a musical gem in the form of AURI, which shines even brighter than the glittering Polar Star in the night sky. Johanna Kurkela, Tuomas Holopainen and Troy Donockley – the charismatic protagonists behind AURI – take their eponymous debut on a fairytale journey through time and space, far from here and now reminding us of the fantastic adventures of »Alice in Wonderland«. If Tuomas describes Auri in his own words, he cannot help but smile; “Just a few days ago, we had this conversation within the band and we thought about the best way to describe it. Two terms came to our minds; Rabbit Hole Music and Celestial Metal. Obviously you can hear influences from folk music, Celtic music, soundtracks – all that music that we love and adore, but categorising the style is really impossible. I‘ll leave that to the listeners.” A tour is currently not planned but one thing is already certain: “This is definitely not just a one album thing!” So sit back, close your eyes and let yourself fall into the depths. A world of wonder and miracles awaits you behind the mirrors. AMORPHIS working on new studio album! THE CHARM THE FURY Releases “Songs Of Obscenity” Music Video! AURI – Release Music Video For First Single “Night 13”! 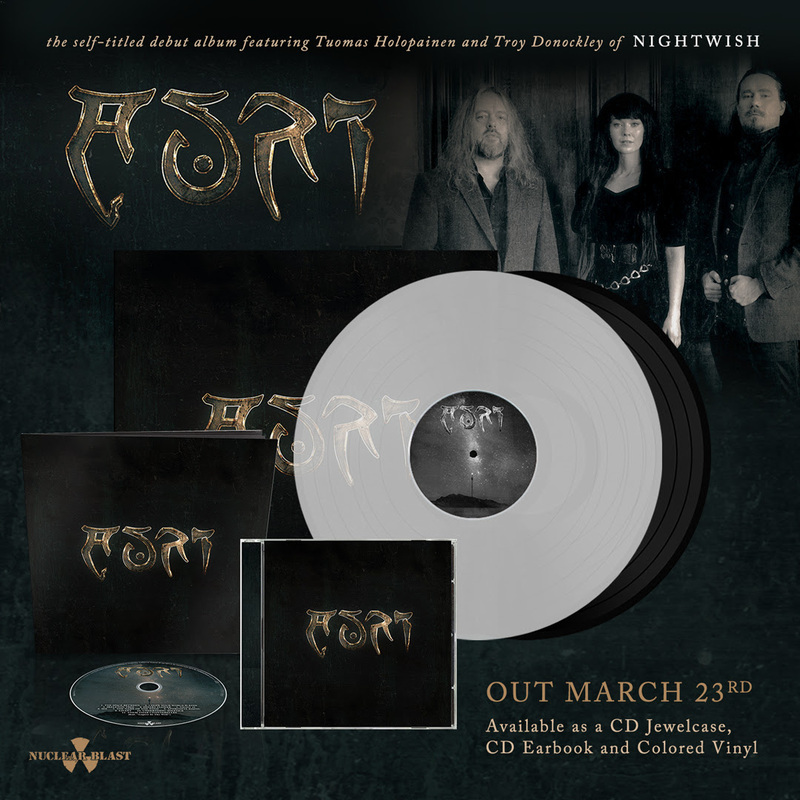 Nightwish Takes Us On an Incredible Journey Through Entire Career! Wacken Metal Battle USA Announce 2018 Band Submissions – One Champion To Play At Wacken Open Air 2018!